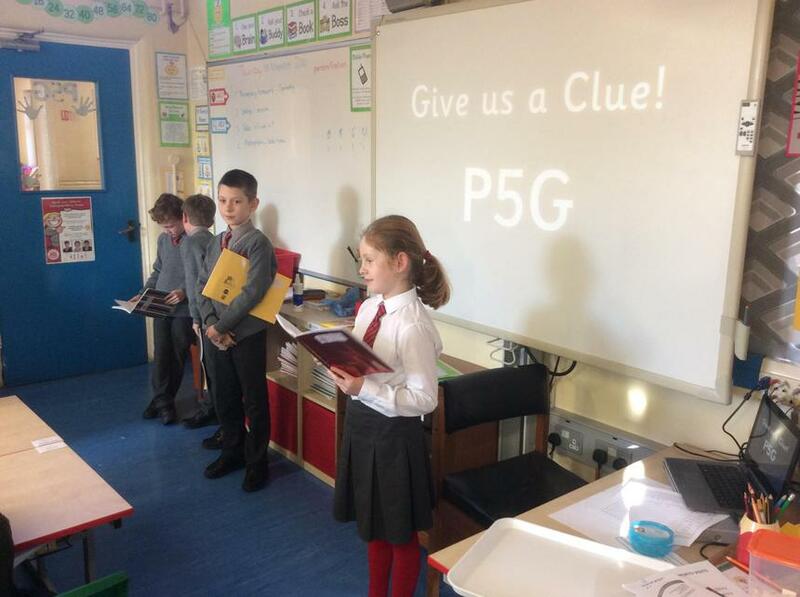 Welcome to P5G's Literacy page! 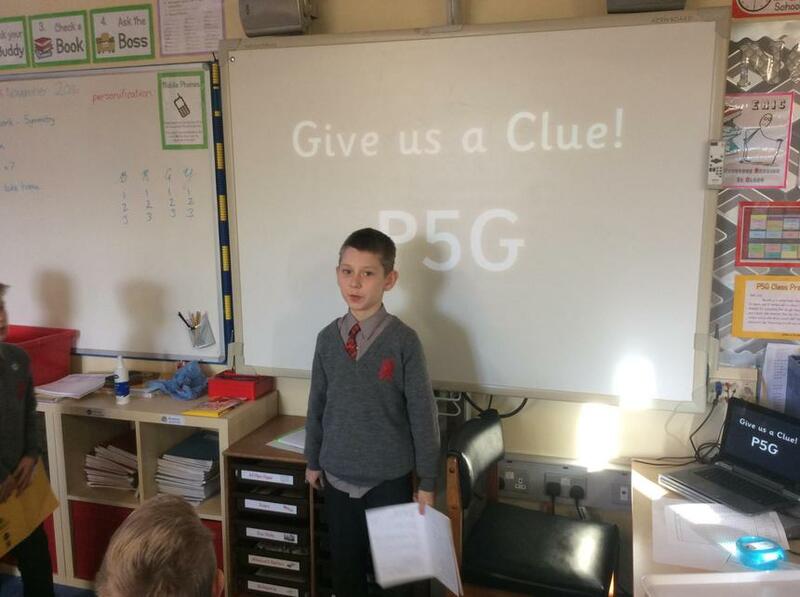 "Give us a Clue!" 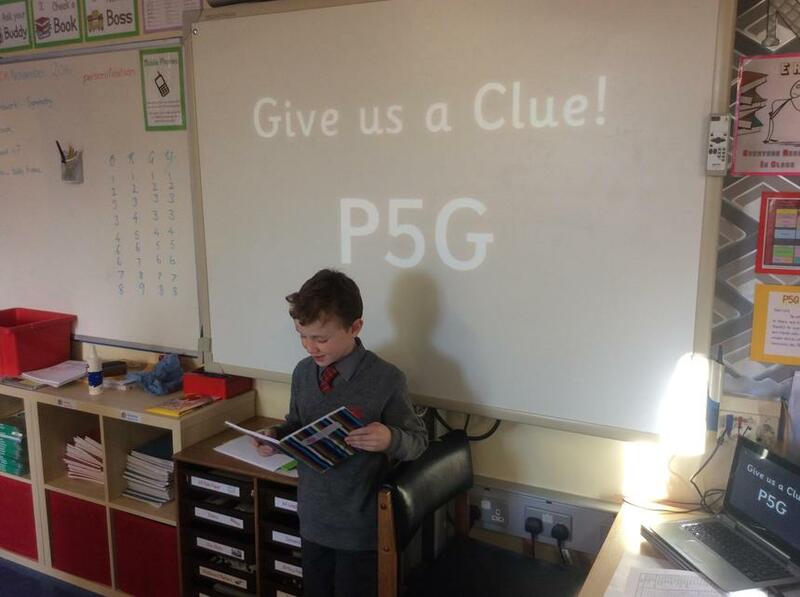 - The pupils of P5G have been writing clever clues for some of their spellings. 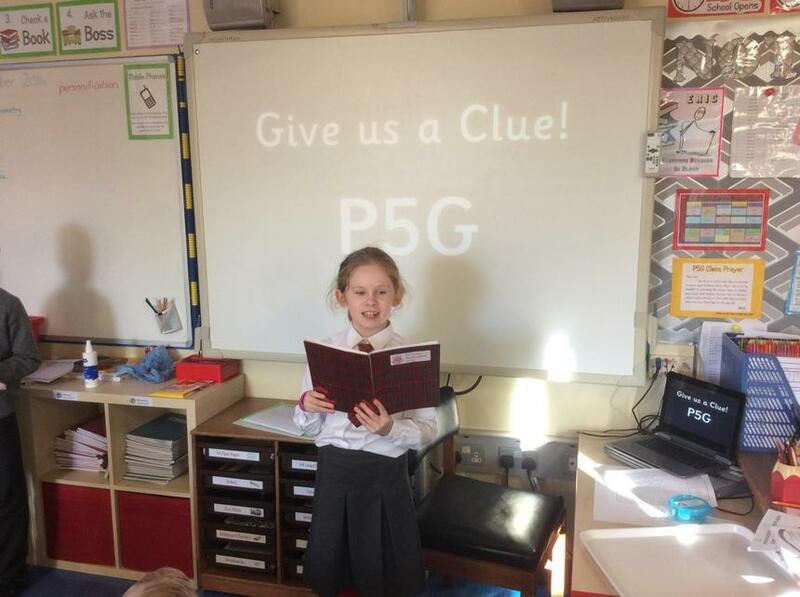 They were using their "e" sound words and many of the clues were excellent. 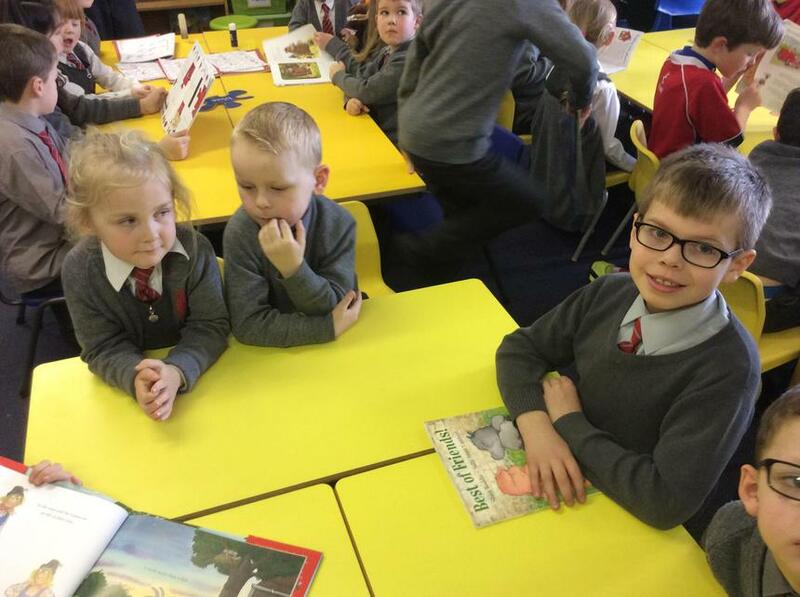 Some boys and girls got a chance to test the class. 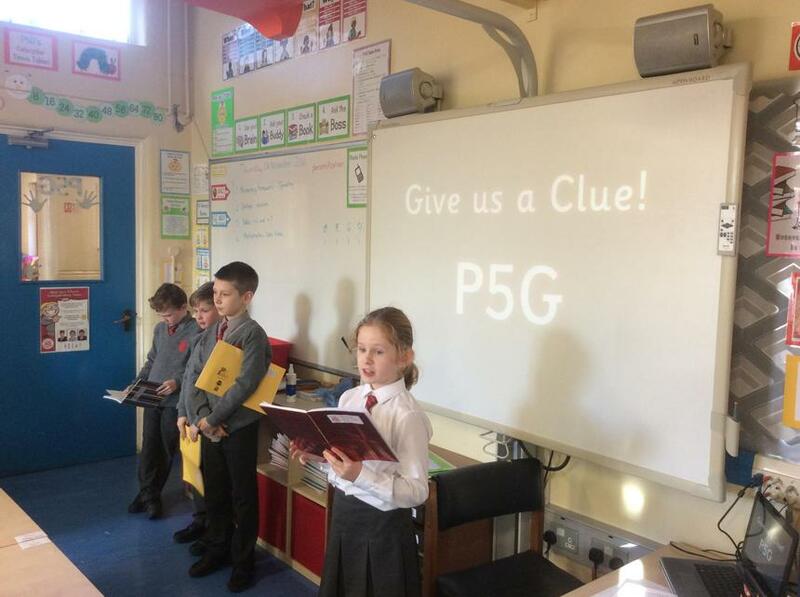 They did a super job and everyone had good fun guessing the words! 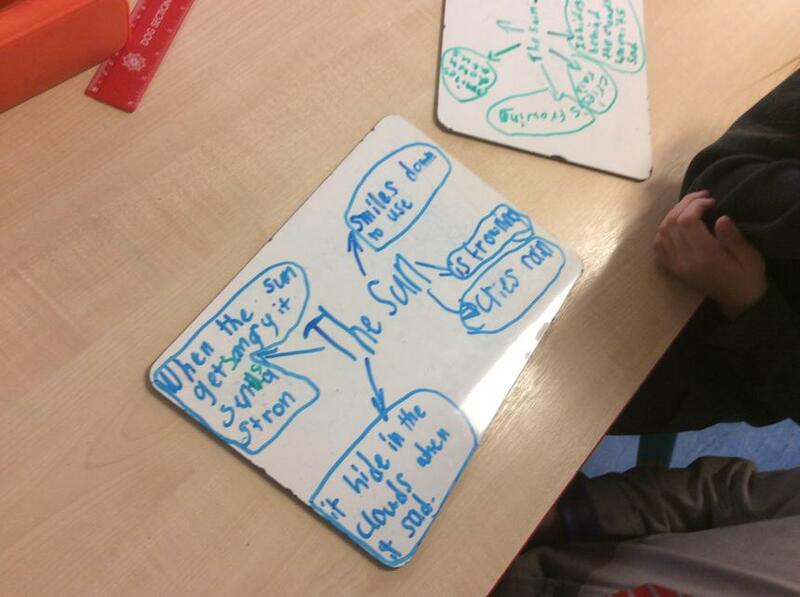 "The Sun" - Personification - The boys and girls of P5G have been learning about personification and metaphor. 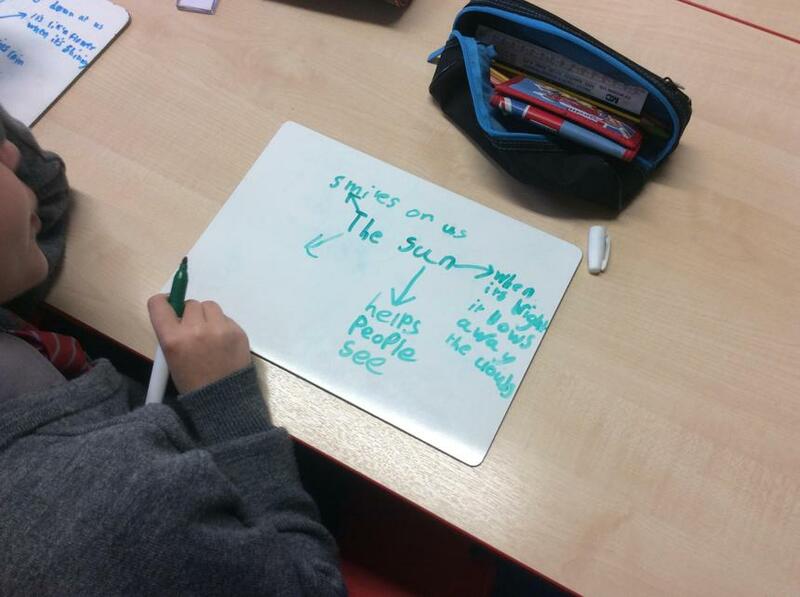 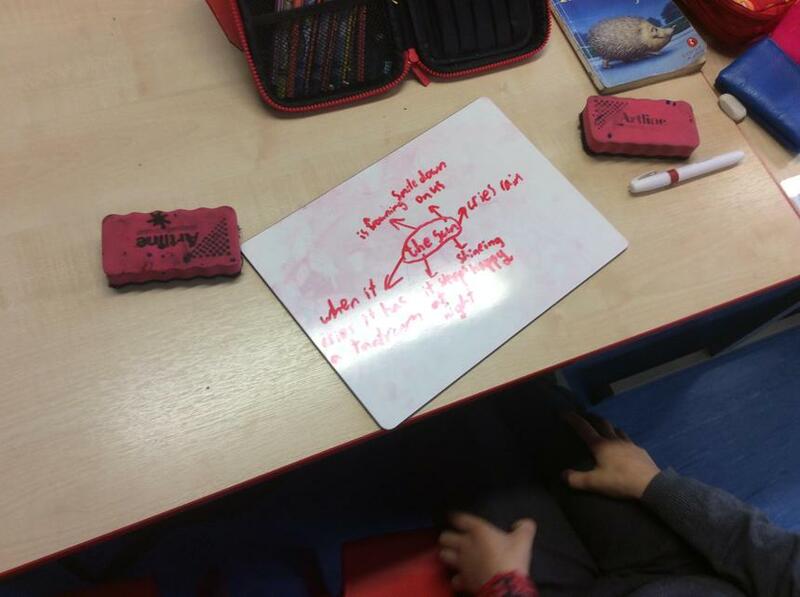 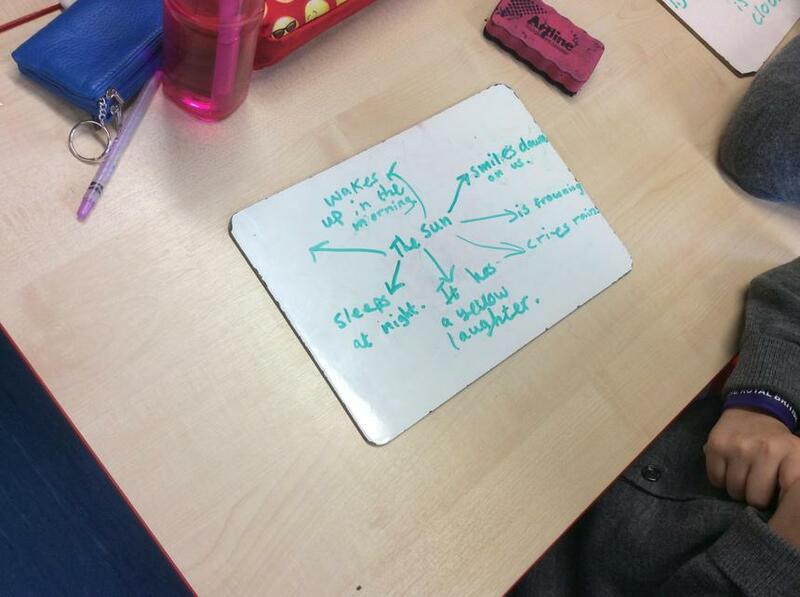 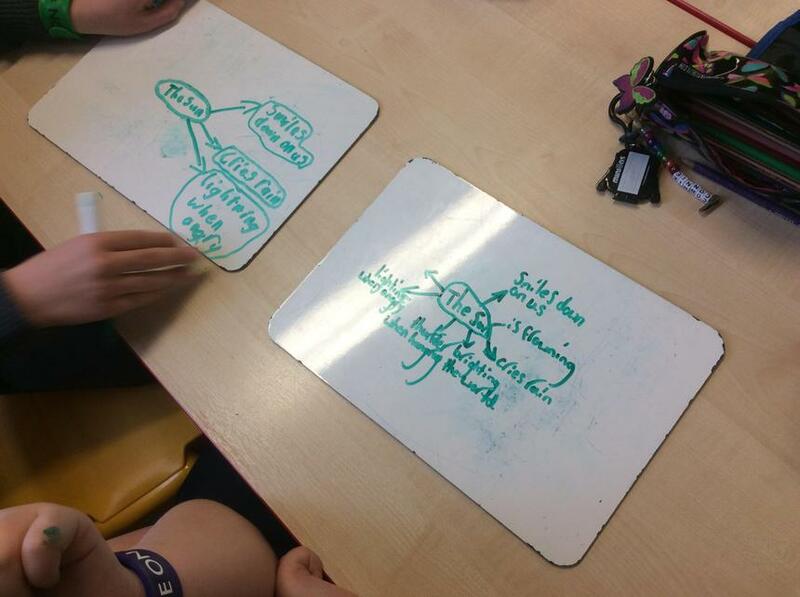 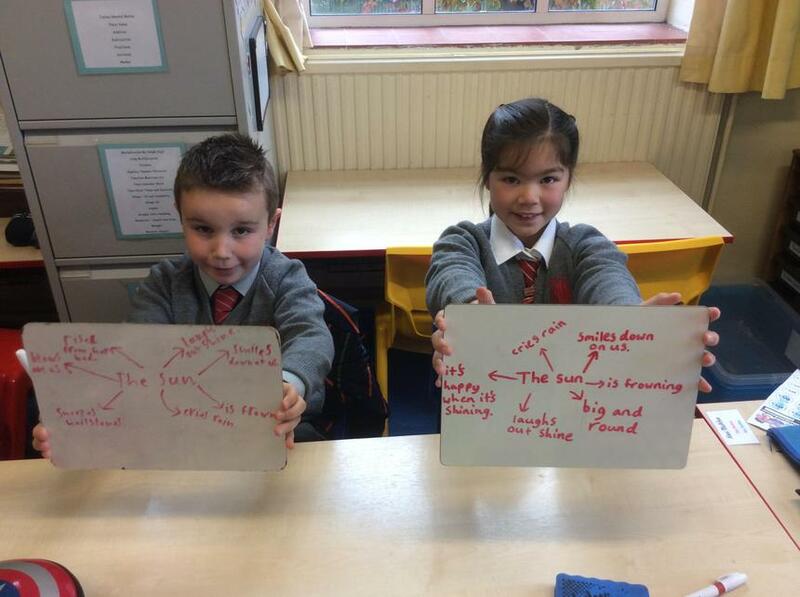 They have been thinking of personification and metaphors relating to the sun. 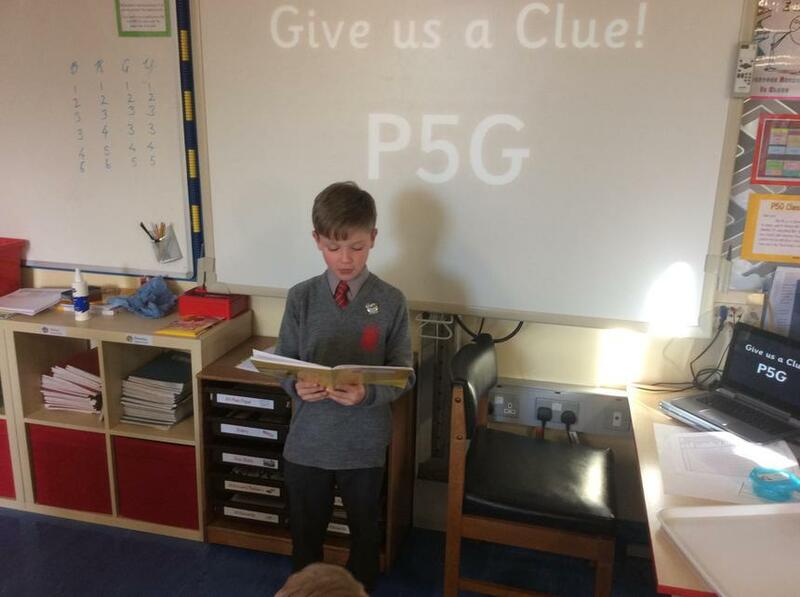 Some of their ideas have been really brilliant - there are some extremely talented poets in our class! 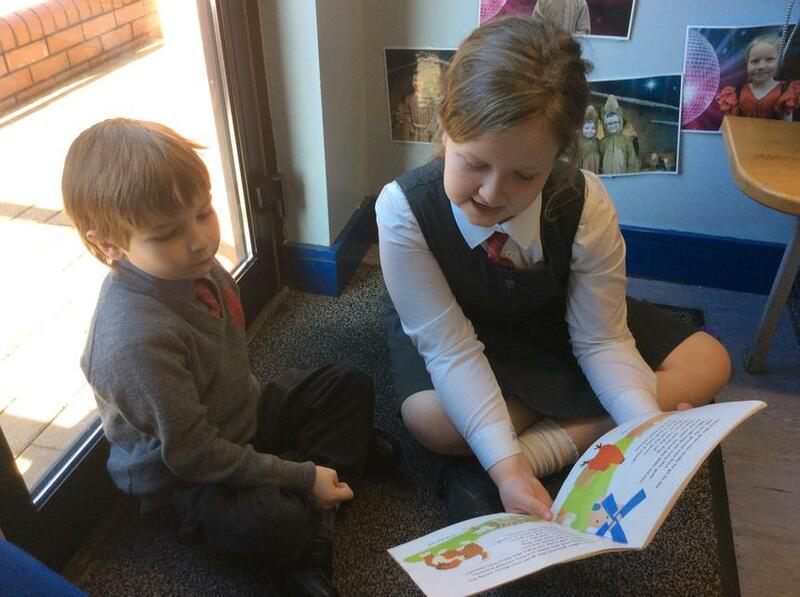 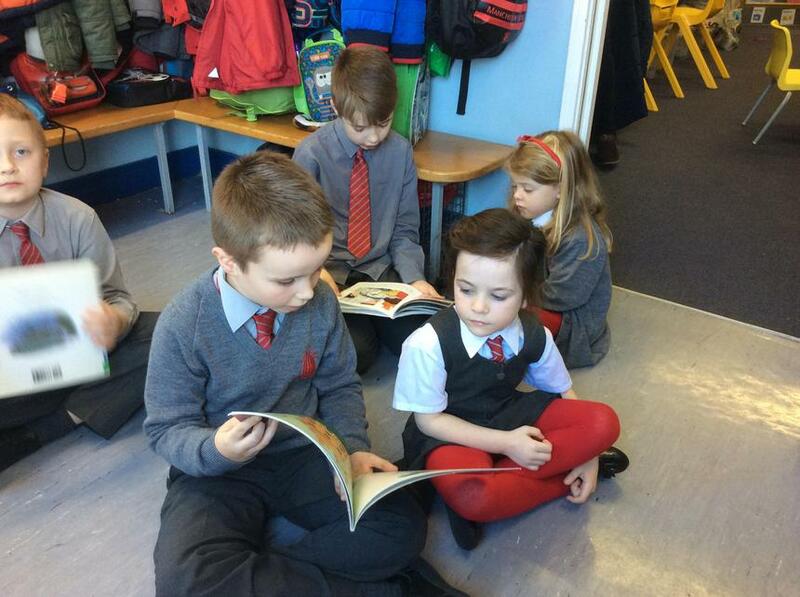 Reading to P1W for World Book Day - For World Book Day, the pupils of P5G each chose a book to read to the boys and girls in Primary One. 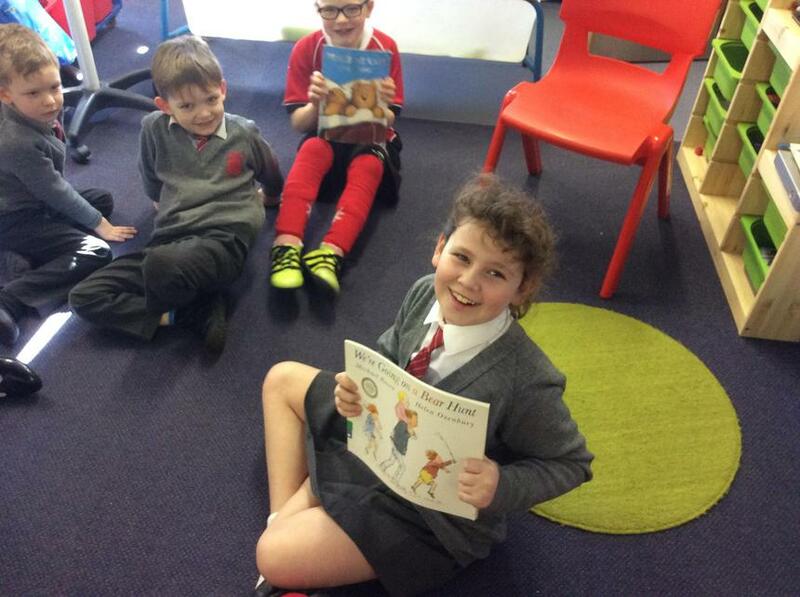 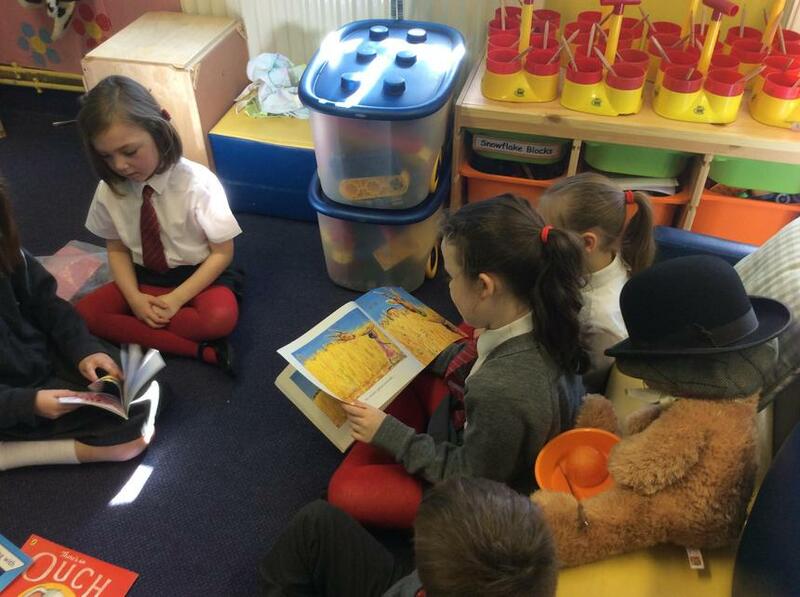 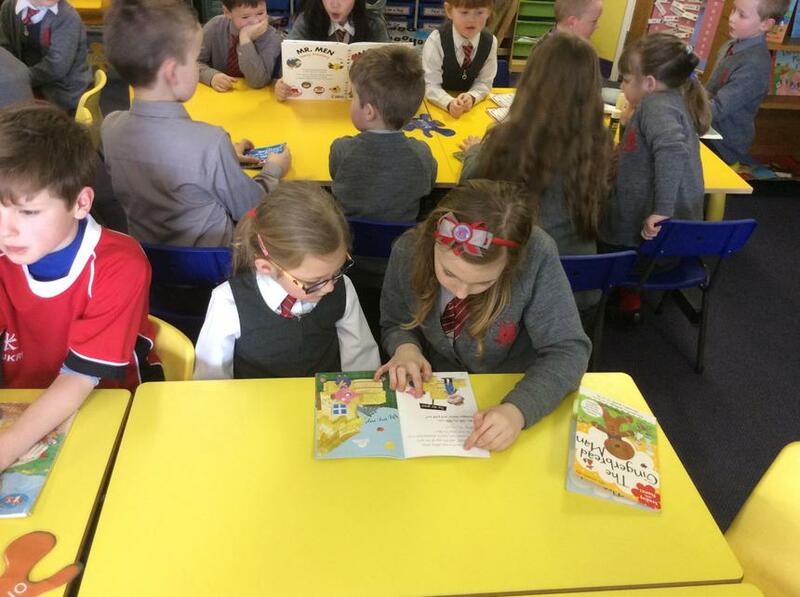 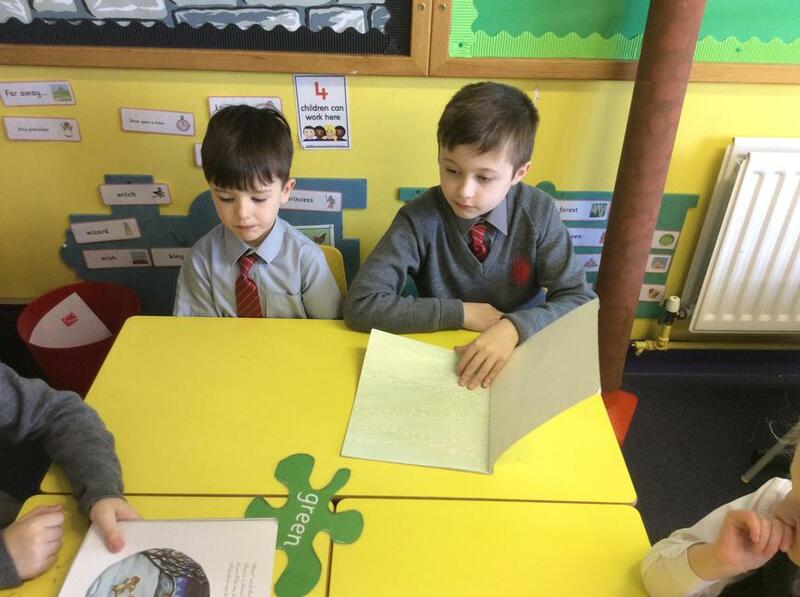 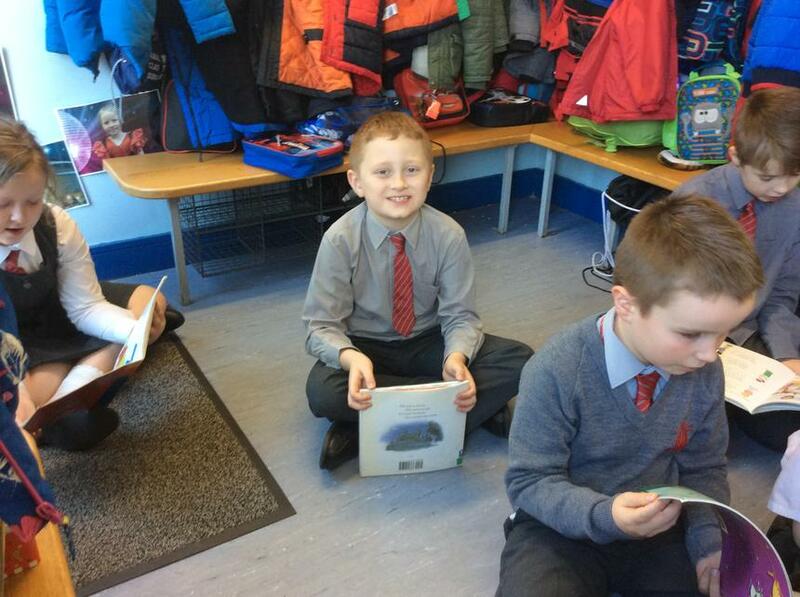 The P5s really enjoyed reading and the P1s in Mrs Wilson's class listened so well.